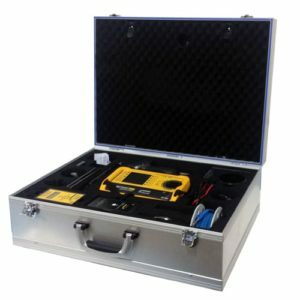 The Model 287A is a low-cost and highly portable alternative to a charged-plate monitor for periodic verification of ionzer performance. It permits ionizer testing at the work location without the need to remove the ionizer from service for testing. 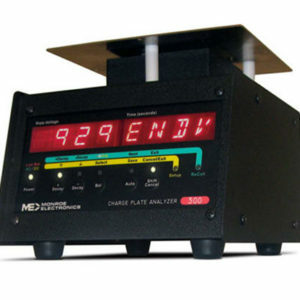 Model 287A performs manual or automatic decay and balance tests for periodic verification of ionization equipment. It then stores the results and averaged decay times for up to ten manual tests and up to ten complete automatic test sequences.Temperature and relative humidity are displayed real-time and recorded with the test data. All instrument functions are controlled by four push buttons. In DECAY mode a built-in high voltage generator charges the plate to over 1050 volts. During testing the plate will discharge toward zero in the presence of ionization. The elapsed time of decay between 1000 volts and 100 volts is displayed. 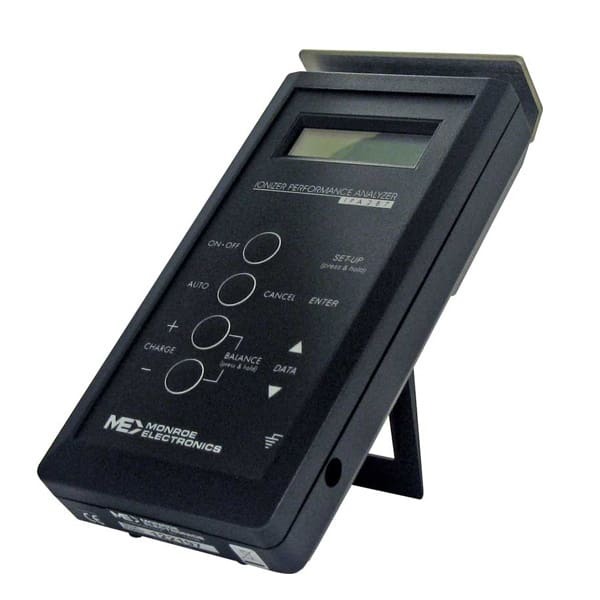 In the BALANCE mode, isolated plate voltage, test duration and + and – peak voltages are displayed. 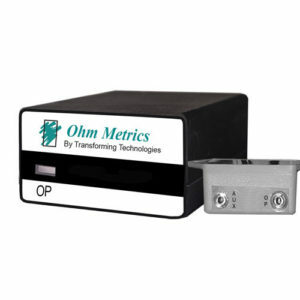 Self-tests include battery check and tests for functional errors.